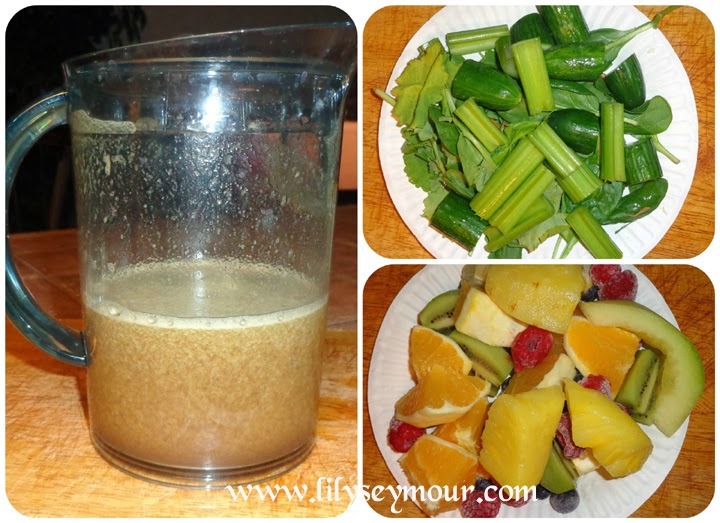 I'm very new to juicing and I'm still in the early stages of learning how to juice properly. The reason I started juicing is because i'm getting older and I'm experiencing some changes inside my body that i'm not used to feeling. I've been a little tired and I don't think my skin is glowing and radiant like it used to be. I'm not one to run out to the Doctor for every ache or pain unless it's unbearable, because i'm prone to muscle aches from yoga. 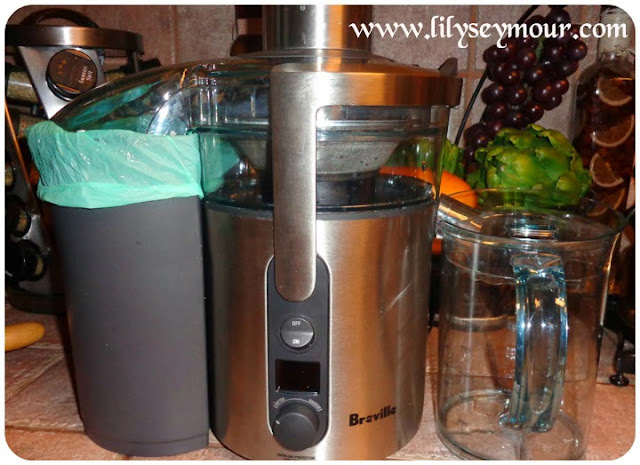 I recently purchased my Breville juicer on recommendation from my sister. She's been a vegetarian all her life as well as her entire family, even her grandchildren are being raised vegetarians. I thought I would just jump right into juicing without reading any books and just see what I'd come up with. Well the results were a lot of flatulence and belching. 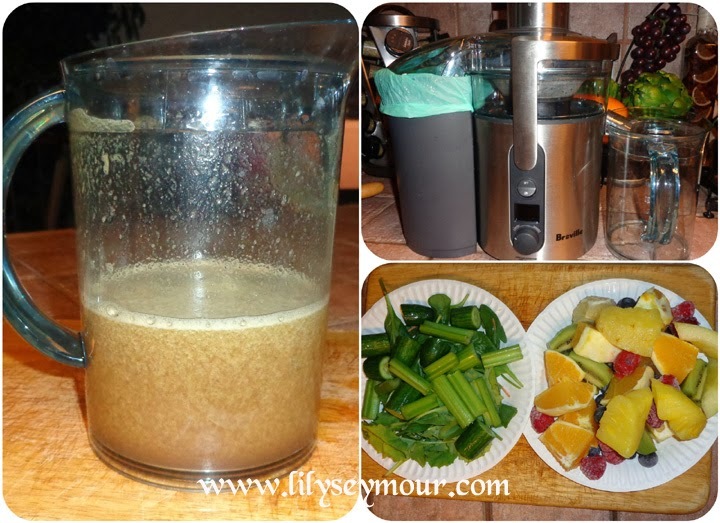 I wasn't at all mixing the right blends of fruits and veggies and my body wasn't happy. I bought my Breville from Bed Bath & Beyond, it was $199 but I got it for $149 because I had a 20% off coupon. It came with a very nice juicing booklet with lots of recipes but I had already decided to look at it later if I really needed to. Now I have to say, I read it from cover to cover. I'm learning how to make different juice blends according to my energy levels and how i'm feeling. I'm really loving my newfound hobby. The first thing I do each morning is juice a 24oz cup and place it in the fridge so it can get cold. I begin drinking it while i'm riding my lifecycle (exercise bike). I usually have a bowl of granola with yogurt and toast for breakfast and now instead of having a cup of coffee or tea, i'm now having fresh juice.